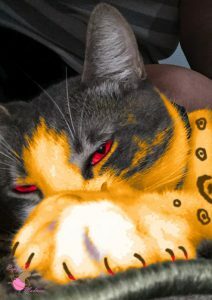 You don’t need anything more than the photo above to know that the new “cat” is actually a baby jaguar! Look at those evil eyes! 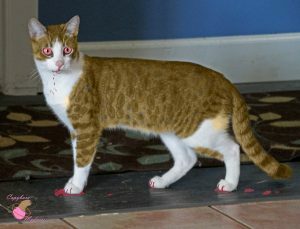 And it’s claws are all dripping blood. Plus, it’s orange! And it has spots! Okay, I might have doctored those photos a little bit. You know jaguars have great camouflage, right? Sometimes you have to adjust the image to bring out it’s true colors. But that is what he really looks like! See the bloody mouth and claws? That is probably capybara blood! Not mine. Not yet. Personally, I think MelT is color blind, she thinks I am, but now there is evidence that it’s her. Apparently she can’t see orange. Or blood-red. It’s frightening to think she could bring a jaguar into our home and not even know it! Will it see me here? I thought I would close this post with a photo of me. This might be the last one to ever be taken of me alive. I don’t know if MelT will have a funeral for me because that’s not her way. She’ll probably leave me out in the pasture of the vultures and the coyotes. That’s if there’s anything left after the jaguar gets done, it’s small but it has an appetite. So maybe you could hold a candlelight vigil and think back to better days. Hahahahaha! 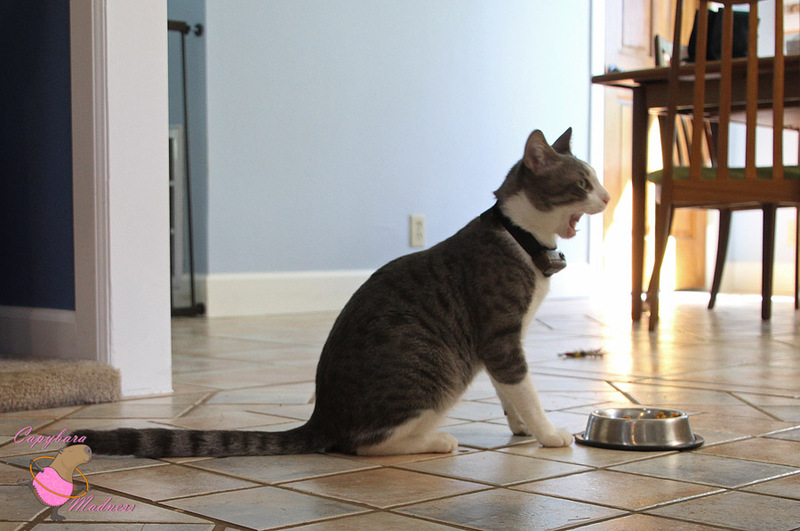 Skipper, you can’t be more drama queen even trying! Don’t worry so much, see, that’s what I think: yes, it’s a jaguar, but it’s a dwarf one! 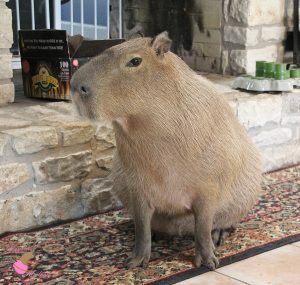 Yes, dwarf ja wars do exist, and they can’t outgrow a giant capy such as you are. If he tries to bite you, you can send him flying with just a gentle kick of your paw. So don’t be so coward! 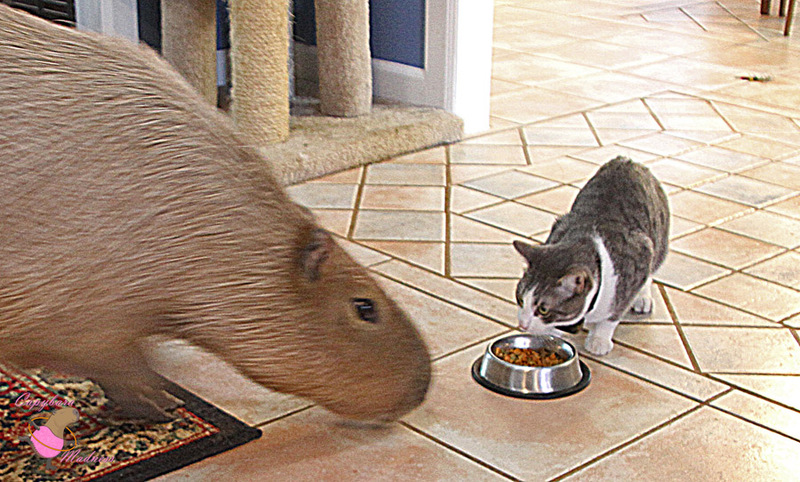 Be a brave capybara and show that mini jaguar what is yours! Oh! Skipper Rous I see whatyou mean. This kitty could be a Jaguar in disguise. It is almost Halloween. So yes you have eaten the kitty’s cat food now Ion must eat some Capybara food in order for it not to eat you since you shared a meal. 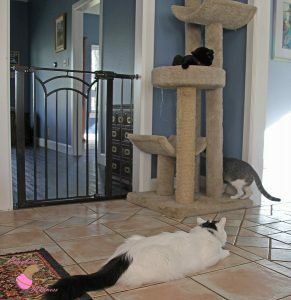 Maybe you could share one of those cat treats you love with it. That would help. You need to remember that you also have very large and powerful teeth to defend yourself in time of need. I doubt if you will need to use them . I think in time you and Ion will be best buddies. It’s a lovely little jaguar, Skipper. And I’m quite sure, QUITE SURE that if you share a meal together things will be fine. I know It’s a matter of life or death so I KNOW everything will turn out fine. Why, you may even learn to love the jaguar!!! PS,maybe you should teach the jaguar the joys of a good mud roll!! 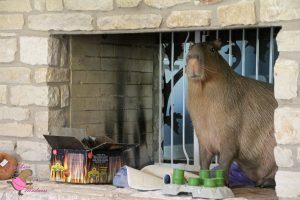 Skipper Rous, you look the most adorable in the fireplace but I think you are safe no matter where you go. 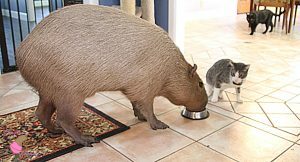 As long as the jaguar is well fed, there should be no problems. Think of it this way: once you have befriended that baby jaguar (no worries about that, babies of all species are very impressionable. In fact, if you wish to, you can probably convince it that you are the Supreme Galactic Overlord. 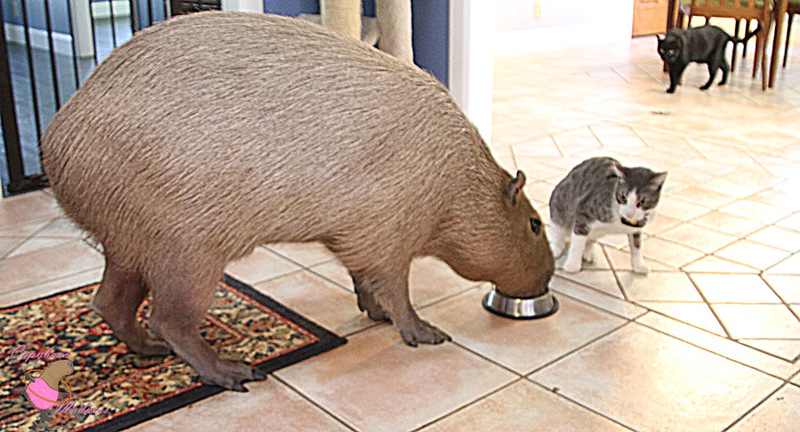 ), you will be the world’s only capybara who has a tame JAGUAR willing to defend you if need be. Very impressive, and you’ll be safer than ever.